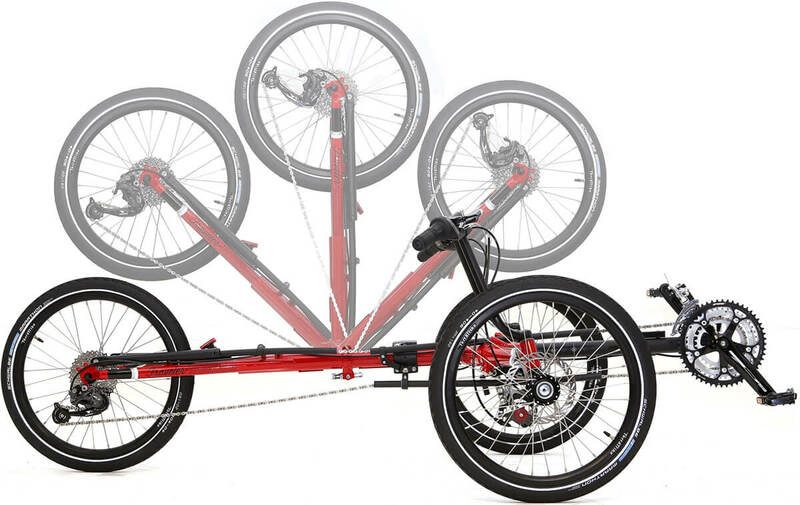 The Traveler is a folding trike designed to be portable, while still retaining the quality and comfort that make TerraTrikes such a joy to ride. Imagine taking your favorite ride with you on vacation, packing it in the camper or just being able to store it in a closet. In about the same amount of time it would take you to remove a bike or trike from a car rack, you can have the Traveler unloaded from your car’s trunk or back seat, unfolded and ready to ride. The frame hinges have been designed to be both easy to operate and flawlessly secure. The Traveler was developed from the ground up based on time-tested design parameters. The frame hinges have been engineered to be both easy to operate and flawlessly secure. The Traveler is available in two different component levels: external and n380 NuVinci. The frame, made of round chro-moly steel tubing, is painted a stunning Fire Engine Red. 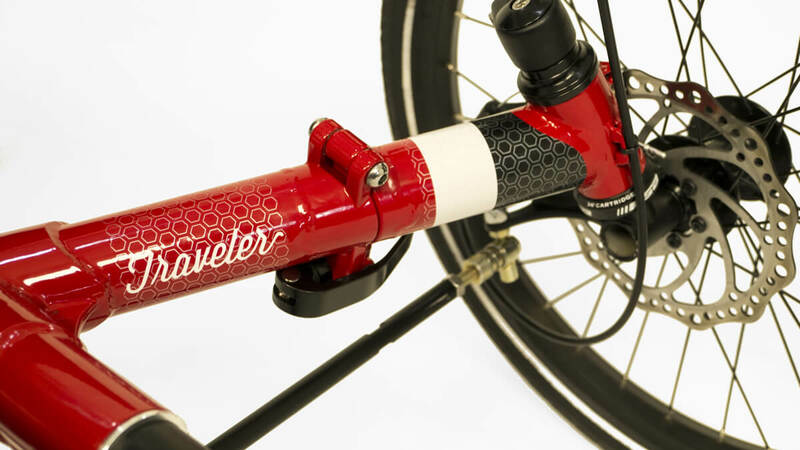 Built using the same high quality components and materials as our other models, the Traveler can become both a trike you take on vacation and your everyday ride. It is a great solution for anyone who needs to save space without sacrificing performance or comfort. It will quickly become your favorite way to explore the world, no matter where your travels take you.